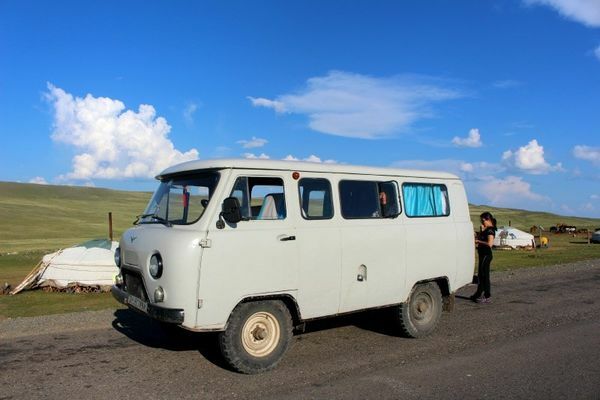 My wife and I will be taking a trip this September in remote western Mongolia. It will be a combination of pack trip and driving but staying in tents or gers. The point is I don't think any power will be available. Has anyone tried either of these products to recharge camera batteries? Any input on how well they work or other options would be appreciated. I keep a car charger in my care on the off chance I need to charge a battery "in the field". I rarely use it though. It works just fine when I need it. You shouldn't need the inverter. 12 volt works just fine. You might also just buy a USB converter if you have a USB charger. Will the vehicles you are riding in have a 12v output? 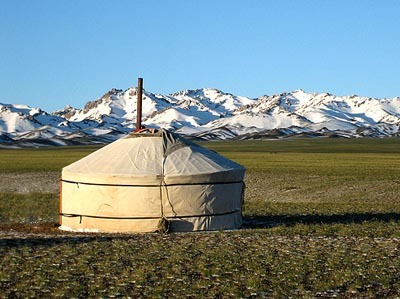 A ger is what nomadic families in Mongolia live in, pretty much like a Yurt. I have to check on the vehicle voltage. It will most likely be a Russian van. Mongolia according to Google, uses 220 V has an advantage over lower voltage such as the 110 V that it is cheaper to transmit. On the other hand, 220 V is more dangerous than lower voltages. The plugs used in Mongolia are C or E. Moreover you can use a universal plug adapter or converter. I would contact your travel company in Mongolia to address your concern as to how to ytavel your batteries. My question is about how to charge batteries in a vehicle, not in a motel room. Then the answer is what voltage is the vehicle you are using, does it have outlets and can you use them.And your tour company can answer that. What is the camera? Would it be that extra batteries are the most convenient and reliable? It's the D850 and I will have about 8 batteries and hundreds of GB of XQD and SD cards. I just want something that can give me a better chance of not running out of batteries. It is hard to know for sure how many photos I will be taking, how many sequences of stacking, how much I will use live view, what the temperature will be etc. Also, without a normal power supply I won't be able to use a laptop for backup of photos either. An after market charger I purchased from Amazon works great and included a plug for the car! Worked great! What is your camera? Many Nikon grips accept their Pro series batteries like the EN-EL18's. With one of those and an EN-EL15 in the body you should easily get over 6000 shots before any recharging is needed. A spare EN-EL 18 and you should be set for a week or more. I use this setup on both my D500 and D850 just to avoid recharging on the road. I use the aftermarket grips rather than the factory units. I'd consider a combination of USB charger and power bank. An EN-EL14a battery for example has a capacity of 8.9Wh and the power bank I have (Xiaomi) has a capacity of 20,000 mAh. My maths is not real good but just looking at those numbers suggests a high number of charges of the Nikon battery from one full charge of the power bank. As an example it will charge my phone battery (3000mAh) six times plus. This is a cheap solution and everything is reusable when you get back home. I mentioned at my local camera store that I was going to Tanzania. He said when the time came, he would show which solar charger to get. My guess is that is the easiest gadget to take.